Award winning label and collective, Chopstick Dubplate, the number one international junglist sound operating out of London, Bristol and Barcelona. Chopstick Dubplate aka Jacky Murda, Aries, Tuffist and King Yoof, host some of the biggest vocalists in the reggae and UK jungle scene. Consistently producing hits with their trademark sound, a unique fusion jungle, dub, reggae and dancehall, are enjoyed by junglists worldwide. They follow in the tradition of Jamaican sound system culture, with many songs played on dubplate only in the dance. Renowned for their extensive custom produced dubplate collection featuring scores of vocalists on both sides of the Atlantic, Chopstick also performs frequently with Demolition man, in addition to other artists such as General Levy, Ragga twins, Cheshire Cat, Daddy Freddy, Mr Williamz and Jah Mikey to name but a few. 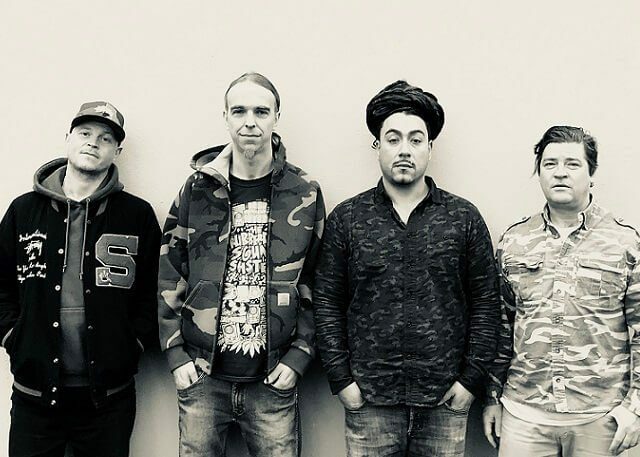 Together as a production team they have written some of jungle’s most memorable recent hits, showcasing the Chopstick Dubplate sound at all the major jungle events such as Jungle Fever, Jungle Jam, Hospitality in the Docks, and festivals like Glastonbury, Outlook, Balter, Shambala and more. This year, they will be returning to Boomtown Fair, as one of the headline acts for the stand out stage, the Lions Den.